The 2018 Subaru WRX STI and Volkswagen Beetles will be banging fenders in a new Rallycross series in 2018. Subaru and Volkswagen have ditched Red Bull Global Rallycross and have signed up for a new series. Subaru and VW have withdrawn from GRC because they revealed last month it wouldn’t include a headline Supercar category in 2018. It’s been announced that the promoter of the World Rallycross Championship, IMG, has launched a new series, the Americas Rallycross Championship (ARX). Subaru of America and Volkswagen America will now run their WRX STI and Beetle Supercars in the new series. The ARX series will feature both a headline Supercar class and an ARX2 class for Olsbergs' Supercar Lites platform. The new series will comprise four rounds in 2018, but the new Americas series won’t be running much in the US. 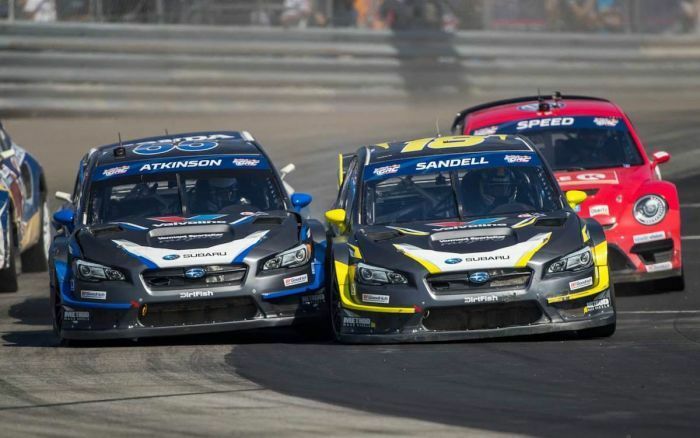 The new ARX series will begin in the UK as part of the World Rallycross events at Silverstone (May 25), and will also include WRX rounds at Trois-Rivieres in Canada (August 4-5), and the one US event at Circuit of the Americas in Austin, Texas, (September 29-30). A fourth event is yet to be announced. Subaru’s WRX STI Supercars, built by Vermont SportsCar, will continue with drivers Chris Atkinson and Patrick Sandell behind the wheel. They will continue to do battle with former GRC champions Scott Speed and Tanner Foust run by Volkswagen Andretti. It hasn’t been reported if Honda will also make the switch to ARX. Chris Atkinson and Patrik Sandell will continue to bang their 2018 Subaru WRX STI Supercars with Scott Speed and Tanner Foust and their Volkswagen Beetles. In 2018, the intense action will happen on a global stage in the newly-formed ARX Rallycross series.